On paper, golf isn’t a sport that requires intensive strength and conditioning workouts. 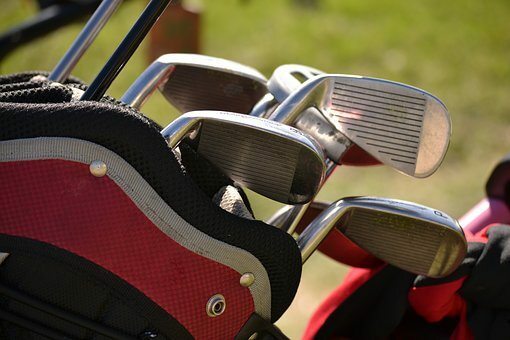 A couple of years ago, Plugged In Golf featured a piece that spoke about how the right equipment matters, and how it greatly affects the results of a player’s swing and performance. While this is certainly true, the game has changed significantly over the years and there is now a bigger emphasis on conditioning as sport science has helped golfers hone their skills. Especially core strength for golfers. So for now, let’s focus on the importance of the aforementioned strength and conditioning exercises, and determining what works well in terms of the actual plan of attack and routine. These days, golfers aren’t just considered as quasi athletes and/or, worse, casual weekenders. In Chicago, for instance, the sport presents a stage for legitimate, fit sportsmen and sportswomen who practice, dedicate, and compete night in and night out. Its home state, Illinois, is even tied at the number eight spot in a Golf.com list of the most popular areas to play in the United States. The city even features a bevy of experienced PGA- and LPGA-certified instructors, as seen on Play Your Course which is probably why there are so many high caliber players in the city. In terms of Chicago, some of the most famous sporting icons have come out of the city including Michael Jordan and Mike Ditka. They aren’t professional golfers per se, but they represent fit (or once-fit) athletes who relied heavily on their physical conditioning. Players can take inspiration when it comes to incorporating valuable strength and conditioning workouts to their routine. Having said that, here are some of the simplest, most effective core exercises to improve a player’s game. This movement is important as the resistance of the stretch bands against the legs engages and strengthens the glutes. The area, as most people know, is vital in terms of building and maintaining a stable base so golfers can swing faster and with more power. Glute Bridges is another movement that focuses on the core region – more specifically, the back area. It reinforces the lower back and hamstrings, thus making it an effective exercise for golfers who regularly thrust their hips toward a particular target. Hip crossovers help stretch the muscles and tendons of the core. It stimulates the torque put on the hip region at the height of the backswing and during the follow through. Even though hamstrings aren’t exactly part of the core, it’s part of a network of muscles that fire up this area. Inverted hamstring stretches, for its part, improve golfers’ posture throughout the swing, which in turn, effectively transfers their weight – an important facet in golf. Quad rockers, again, isn’t exactly a core workout, but it mobilizes players’ hips in such a way that it benefits their swing tremendously. In addition, this exercise makes the lower back area stronger, as well as relieves some of the stresses placed on it after playing. This is a guest post written by Jimi Anderson: Witty, delightful, and handsome, those are just some of the words that describe Jimi Anderson’s pitbull, Manuwa. Apart from being a loving pet parent, he always finds time playing golf with his wife, Holly. In addition, Jimi’s typical routine involves lots of reading and working out.